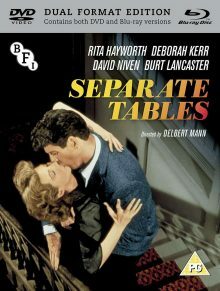 It seems an odd time for the BFI to decide to re-release Delbert Mann’s 1958 adaptation of Terence Rattigan’s two-act play Separate Tables. On the one hand, this once-revered but largely forgotten melodrama has enough big stars and points of historical interest (including seven Oscar nominations) to catch the attention of any classic-film enthusiast. On the other hand, what was once probably thought of as a commendably liberal treatise on forgiveness and self-sacrifice now clashes so violently with modern attitudes that its glacial, minty surface encases a rotten-fish centre which is quickly sucked-through-to but difficult to rinse away after the credits have rolled. Separate Tables is set entirely in the Hotel Beauregard, home to a diverse range of guests including the emotionally fragile Sibyl (Deborah Kerr) and her overbearing, savagely opinionated mother Mrs. Railton-Bell (Gladys Cooper). Much to the suspicion of her mother, Sibyl has struck up a tentative platonic relationship with Major David Angus Pollock (David Niven), an impostor hiding a dark secret behind a blustering what-what façade. 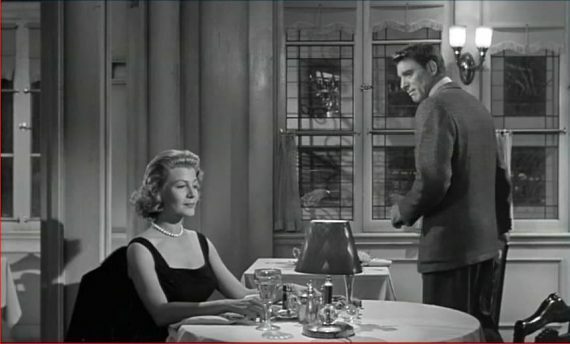 Also among the guests are the playful, heavy-drinking John Malcolm (Burt Lancaster) and his ex-wife Anne Shankland (Rita Hayworth) whose arrival at the hotel is an unwelcome surprise to John, as it is to the hotel’s manager Pat Cooper (Wendy Hiller) who also happens to be John’s lover. Though it doesn’t try to hide its melodramatic tendencies, Separate Tables has a greater sense of economy than other proto-soaps of the era like the nearly-three-hour Peyton Place. It is staged modestly, perhaps in an attempt to maintain an air of the material’s theatrical origins for the sake of associative prestige. Mann’s most famous film Marty used a similarly uncluttered style to great effect, winning the Best Picture Oscar in the process. But while it largely avoids the more histrionic excesses of Hollywood melodrama, Separate Tables sometimes reproduces its chosen variety of stuffy Britishness a little too closely. There are dialogues between certain characters in which you can hear the writer struggling to tiptoe around the subject matter tastefully in a manner which doesn’t necessarily fit with the character who is speaking the words. Such shortcomings would be forgiveable, perhaps even charming, had Separate Tables only aged better than it has. Old films can often prove to be fascinating windows through which to view the prevalent attitudes of different eras and as spectators from another age we regularly forgive or at least tolerate the inevitable moments of unenlightened dialogue or questionable actions. But there is a distinct problem with doing this when didacticism is a factor. If a film is trying to teach us a lesson, which Separate Tables undoubtedly is, and the lesson has become monstrously outdated then this is a failing of the film, not just a regrettable wrinkle within it. Here, the problem lies with where David Niven’s character’s story goes. You might call it the film’s Major problem! 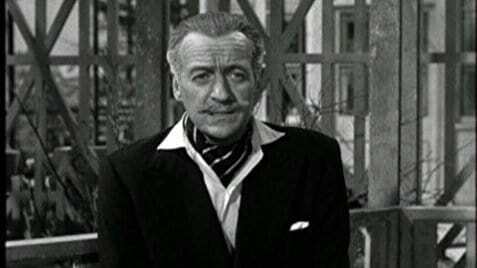 There are numerous things about Separate Tables which are still enjoyable and chief among these is David Niven’s performance as the bogus Major. Famously the shortest performance to win a Best Actor Oscar, Niven makes the most of the 23 and a half minutes given to his character, delivering a beautifully judged performance pitched somewhere between the comedy of desperation and the tragedy of alienation. The Major appears in key scenes at the beginning, middle and end of the film and is the subject of much discussion while off-screen, all of which contribute to making Niven’s performance seem longer than it is but I’d also argue that he nails the character so well that it almost swells the sense of his presence to something greater than the reality. The problem, then, is how the character’s storyline is handled. You see, it turns out that the Major is a serial sexual-harasser of women whose inability to connect with people in general, but especially females, has driven him to force unwanted attentions on cinema patrons. Although he attempts to hide these facts from the other residents of the hotel, Mrs. Railton-Bell discovers the story in a newspaper and proceeds to lead a discussion aimed to eject the Major from the building. In the MeToo era, this plotline has a new resonance and dramatically there is fertile ground to explore around the subject of what happens to someone after they are publicly reviled for a heinous act. Unfortunately, Separate Tables fumbles these possibilities with an approach that not only foregrounds that old chestnut the importance of a man’s reputation but also writes off the sexual harassment itself as a sordid little triviality. 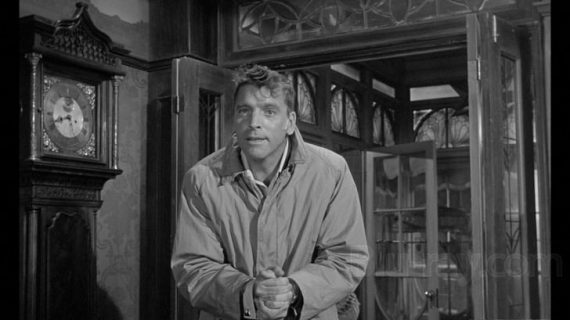 Although the scene in which the Major’s crimes are discussed by the other guests does show signs of trying to depict different viewpoints to some extent, Terence Rattigan and John Gay’s screenplay is far too forthright in shoving the supposed correct opinion in the viewers’ faces by way of Burt Lancaster’s John. Though Lancaster is a fine actor, John is not one of his best roles and his boorish overacting is only magnified here by the demure backdrop against which it grates. While Mrs. Railton-Bell is depicted as a prudish snob who enjoys nothing more than wreaking havoc in other people’s lives for her own amusement, her concerns about having a man among the hotel guests who was tried and pleaded guilty to sexual harassment are still valid. John not only immediately denounces them but he mocks her and trivialises the actions of the Major as described in the paper. Worse still, John’s first, and what the film seems to think most persuasive, inclination when hearing of the multiple allegations against the Major is to question the credibility of his accusers. While establishing the truth of such an accusation is necessary, treating it with smirking doubt is reprehensible but it’s clear from the writing, acting and staging of the scene that Rattigan and Mann intend the audience to side with John. 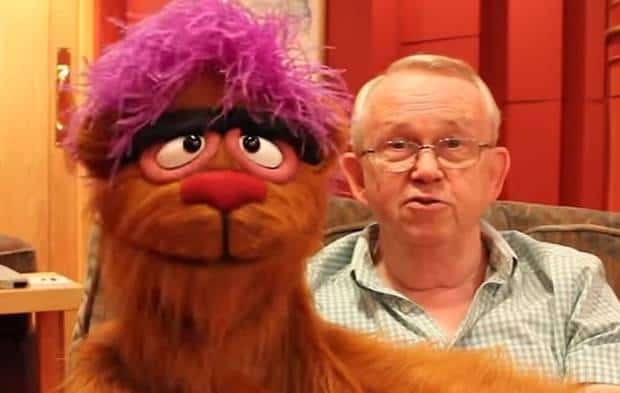 John is a problematic character to hand the role of spokesperson for reason, particularly with regards to issues affecting women, since we learn that he has a past of violence against his ex-wife which landed him in prison for several years. In a plot running parallel to the one regarding the Major but not half as engaging, John is confronted by his ex-wife Anne who has seemingly come to taunt him with her new engagement. John retaliates by telling Anne of his own love affair. In the process of all this game playing the pairs’ passions predictably bubble to the surface again, inciting further violent outbursts alongside overwrought kissing sessions. Though its hackneyed predictability makes it less interesting than the Major’s storyline, John and Anne’s plot is at least a little more nuanced. Rattigan doesn’t take the audience by the hand and lead them to conclusions about how they should feel (although there is a nasty sense at times that Anne is being portrayed as the devious, unlikable one in the couple) and the conclusion to this strand is emotionally ambiguous. 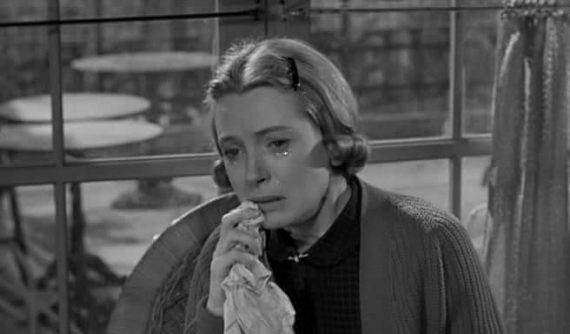 Separate Tables as an actor’s showcase is devalued somewhat by Lancaster’s overwrought brooding and Rita Hayworth’s stiff, superficially unreadable performance as Anne but it is Deborah Kerr’s Sibyl who threatens to bring the whole house of cards crashing down. Kerr is an actor of great delicacy and skill whose performances sometimes get overlooked because their subtlety hides them in plain sight. But as Sibyl, Kerr turns in a weird and utterly preposterous approximation of social anxiety which is all hyperventilating tics and bug-eyed mugging. Astonishingly, it was a performance that got her nominated for an Oscar. Fortunately, there is more than ample balance to be found in the film’s best performance by the exquisite Wendy Hiller. As hotel manager Pat Cooper, Hiller is exquisitely dignified and utterly real, her understated approach to depicting Pat’s carefully-checked emotions making the volcanic passions of her more famous Hollywood co-stars seem even more risible. Niven is excellent in his role but it is an excellence hard won. You can see the work he is putting in to make this his most accomplished part, while Hiller effortlessly walks away with the film tucked under her arm (as well as a well-deserved Oscar for Best Supporting Actress). But while there are pleasures to be had in watching great actors be both mesmerising and hammy, it is not enough to save Separate Tables from its own script. Rattigan and Gay have created a promising set of characters with careful attention paid to setting up mirror images and direct opposites among their number, but when they have thrown them all together the interactions that have emerged are monstrous rather than incisive. It feels like in trying to create bold, memorable characters, the screenplay has underthought the situations they find themselves in and melodramatic artifice has overwhelmed intimate insight, a result that it would take a Douglas Sirk to save but which a Delbert Mann simply cannot cope with. Separate Tables seems to be trying to present us with a sort of microcosm but ultimately the Hotel Beauregard feels more like an isolated refuge for those who are simply too boldly caricatured to live in the real world, with poor old Wendy Hiller the one sane soul left in charge of their perpetual Hell.